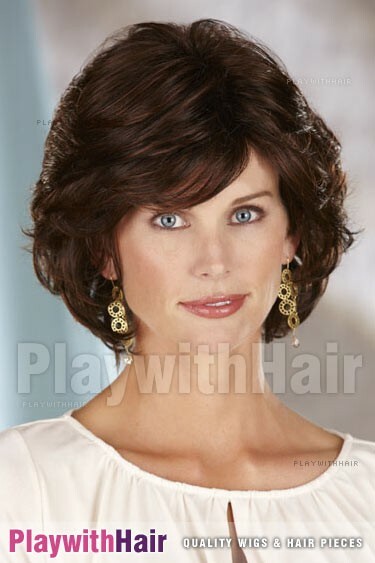 Thick layers of superbly styled and highlighted hair frame the face, while wispy light bangs give this piece a totally delightful fresh look! 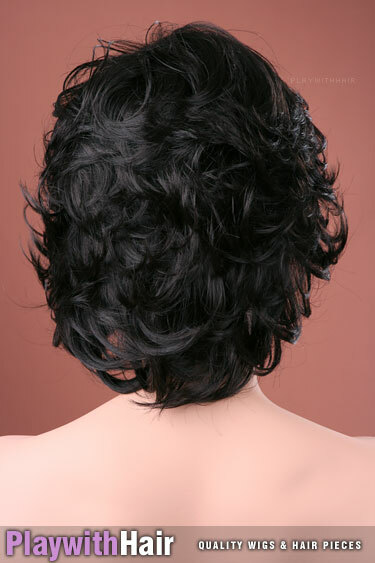 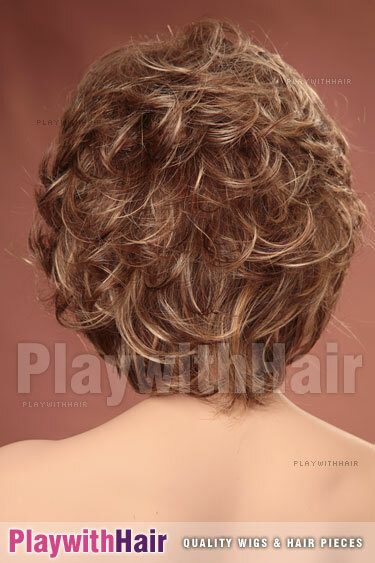 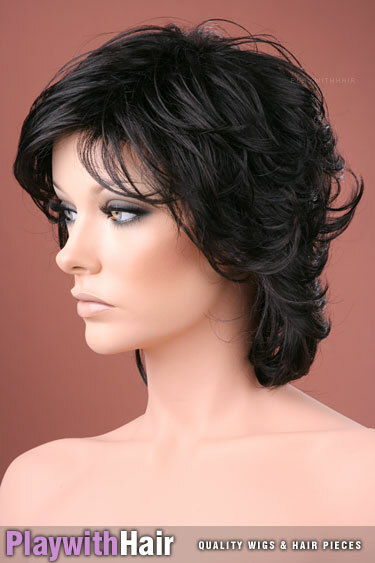 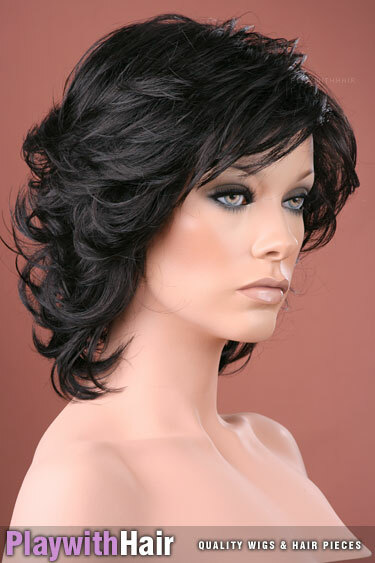 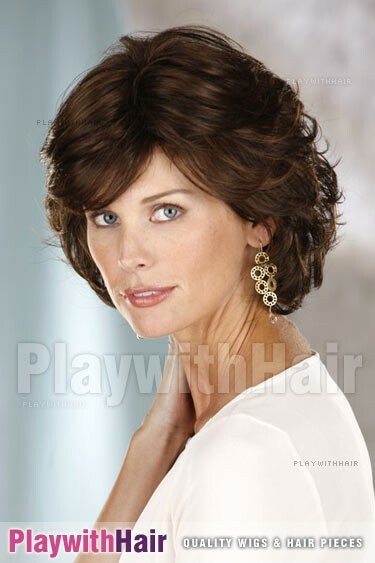 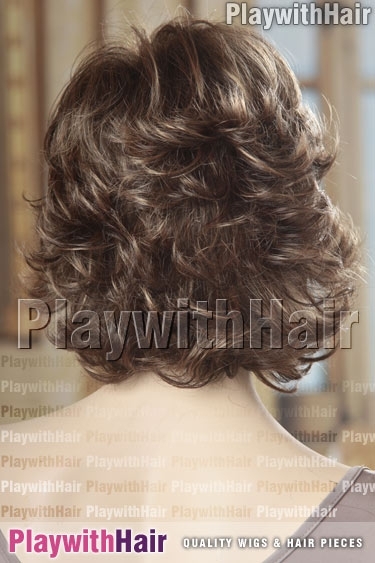 The texture is simply gorgeous and soft to touch, and can be styled in hundreds of ways! 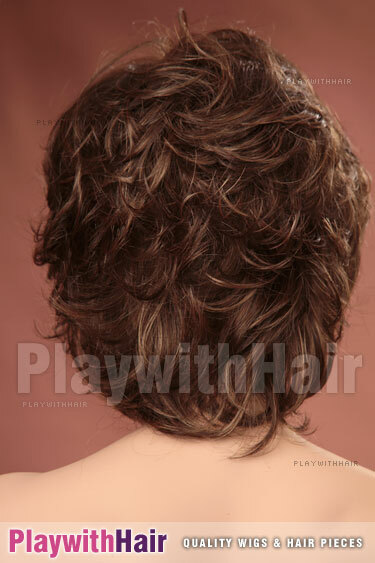 Smooth it down, style it up, tease it, part it anywhere you like!! 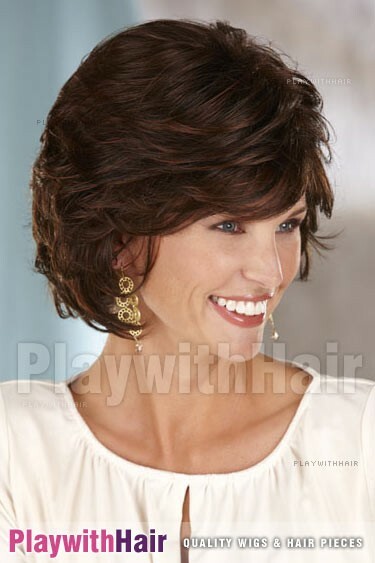 Weighing just 2.25 ounces (64 grams), this lightweight style is so simple to style and wear! 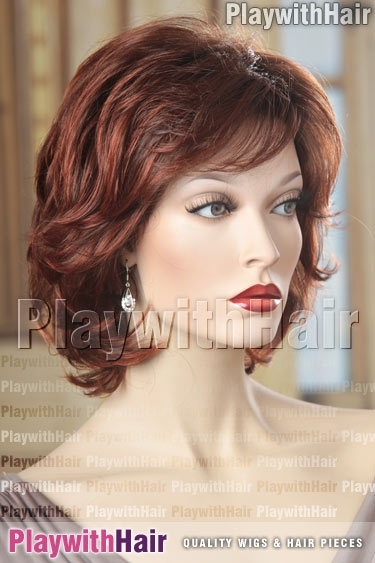 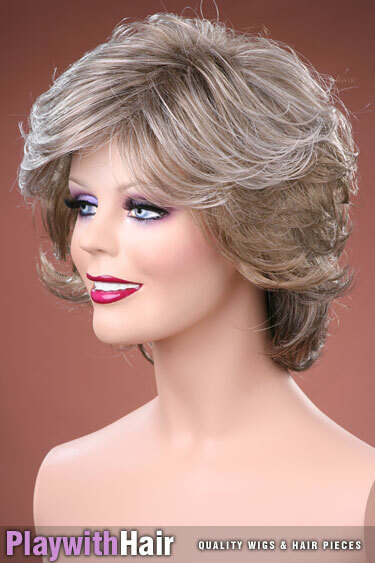 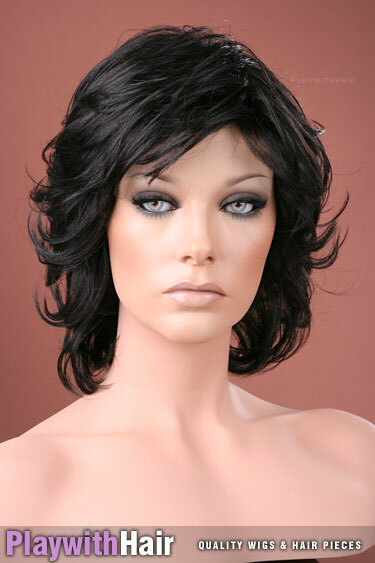 This is a top designer wig, and the quality is absolutely sensational. 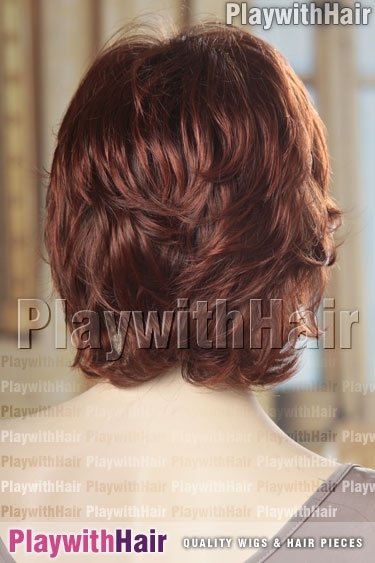 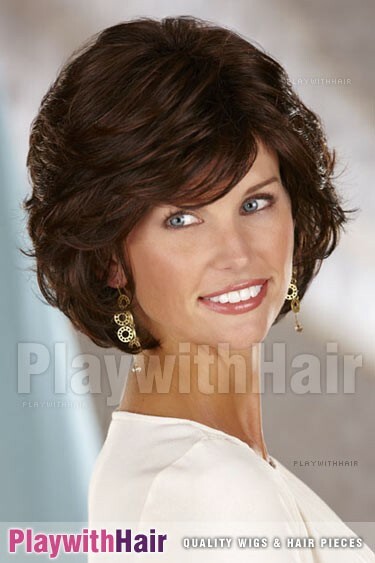 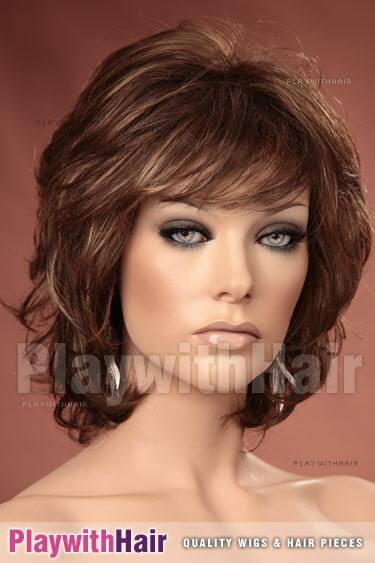 This style also comes in a range of amazing regrowth tones that have darker roots - totally natural and very convincing! 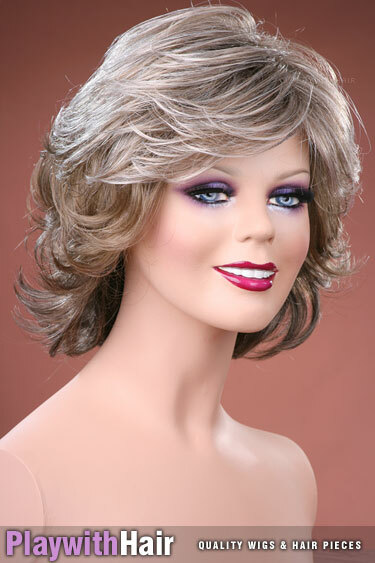 44 Dark Brown 65% Gray Grey The color of this piece is a stunning dark gray tone! 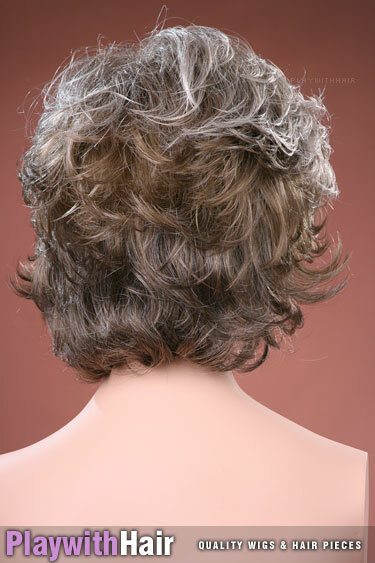 51 Gray Brown Blend Grey 51 is a ravishing gray blend with a 30% mix of medium brown.